Constant individual instruction while point play is occuring. 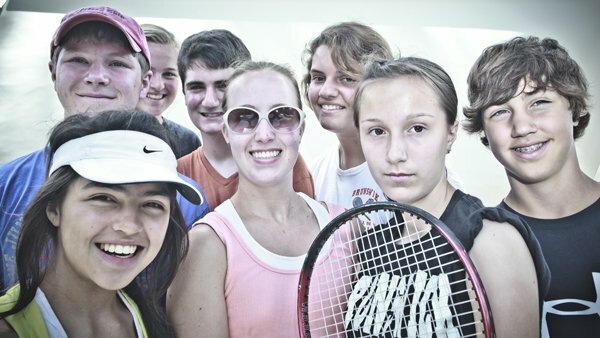 Former Maine Pines Tennis Campers have gone on to play for Yale, Brown, Harvard, Providence, Bates, Bowdoin, Colby, Bentley, Brandeis, Gettysburg, Hamilton, Endicott, Susquehanna, and Sweetbriar. 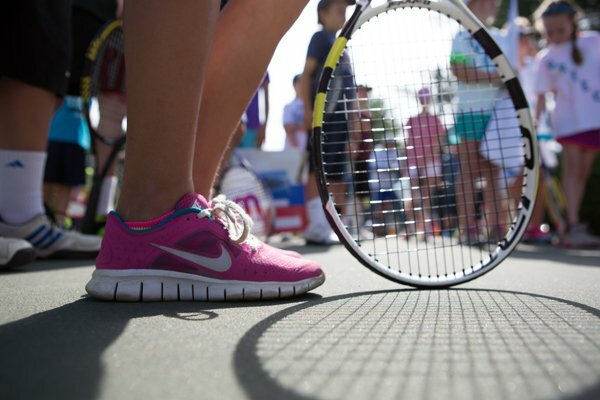 Whether played at the college or the club level, tennis is a great lifelong sport. 8:45- 12:15 Strokes & Tactics Game based play that combines stroke execution and tactics. 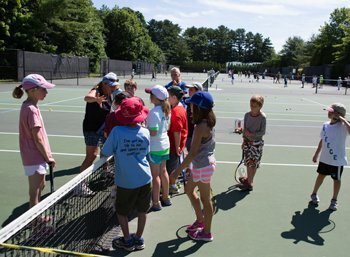 The camp prides itself in making learning tennis fun and easy. -Strokes, strategy, managing a match, working with a partner, being part of a team are all learned during Davis Cup Play. 10andundertennis is the magical new way to teach younger children how to play and have fun at the same time. 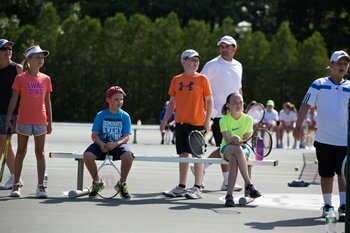 The MPTC staff is excited about entering it’s third summer implementing the 10andunder program, using age specific nets, court size and racquets. 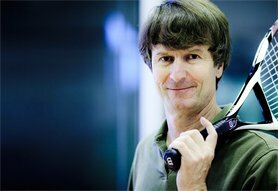 10andundertennis helps the new player learn more quickly and the more experienced player to become a true architect of his or her game. We can’t wait to work with your child this summer! Schedule may change due to weather. Coach of the Year (1996). 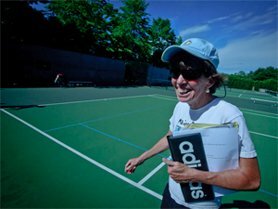 USPTA certified professionals and New England college players join this highly qualified and experienced leadership to comprise the best camp teaching staff in Maine.